Why is my skin rough and dry? Many girls in different parts of the world suffer from dry and rough skin. Today, I am going to discuss on why our skin becomes dry, how we can deal with it and treat it. In this article, I will briefly cover the precautions to be taken to keep the rough skin at bay. So let us start with why our skin becomes rough according to dermatologist. Skin becomes rough, according to Dr. Cynthia Bailey (Dermatologist, California), when it loses both water and natural skin oils. She further says that transepidermal water loss (body’s water escaping more easily) and soaps that penetrate deeply into skin withdraws the natural oils results in making skin vulnerable thereby creating it rough and patchy. So as per Dr. Bailey, the main causes of rough skin are lack of hydration and usage of harsh soaps. Doctor Laurence BEILLE, Dermatologist, Grenoble agrees with Dr. Bailey on both the reasons. In addition Dr. Beille says, dry skin is genetic problem as well. He also says excess of anything is always harmful, for eg: too much physical traumas by excess exfoliation, frequent washing, etc also results in dryness and roughness. Here are few more reasons apart from what has been mentioned above that are responsible to make your skin rough, patchy and dry. Missing out exfoliation in your beauty regime can result in rough and dry skin. Treat it - Exfoliate your skin once / twice a week. Don’t overdo it. Else as Dr. Bielle said excess exfoliation can also results in making your skin dry. 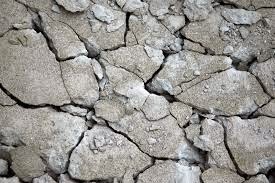 Lack of moisturizing is another reason for rough skin. Heal it - Moisturize it couple of times in a day. Once immediately after bath in the morning and secondly before going to bed. Treat it - Do regular clean up. It is must to wash your face every time you have sweated a lot. Before going to bed, no matter how tired you are, never forget to remove entire make-up and clean your face. Heal it - Follow the balanced diet combined with effective exercise routine. It is also important to take good night sleep. Make use of anti-aging treatments to keep your skin refreshed irrespective of your age. Treat it - Drink, drink and drink more. Make sure to keep yourself hydrated externally as well as internally. How much water is enough to drink? Heal it - Check out with your dermatologists for the best possible way to treat your skin. Treat it – Make use of lukewarm water. Extreme cold or hot water is strict no-no. Dry skin is often thinner and is more vulnerable to wrinkles. It wrinkles faster because it is less resistant than properly hydrated skin. Hence it is important to take care of your skin on the regular basis to keep the age related problems at bay. In the next article, we will discuss How to change rough skin to smooth and clear skin with homemade packs? Till that time let us know - Do you suffer from dry skin problems? What remedies you have adopted? Which one remedy was the most successful one? Healthy & Beautiful Face – Do you find it difficult to maintain?